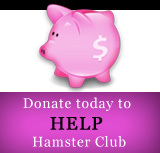 Hamster Club :: Can Hamsters be trained not to gnaw? Hamsters need to gnaw. 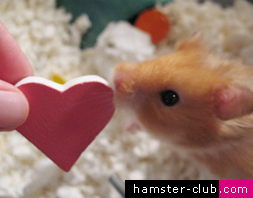 Hamsters have four front incisors, two on the top and two on the bottom that keep growing throughout their lives. Gnawing is necessary to keep those teeth sharp and at the proper length. You can't train a hamster not to chew things, but here are a few strategies to limit the damage. You have to think carefully about the items you put into the hamster's cage Put the plastic water bottle into a metal protector. Or else, buy a flat-back style that does not have any obvious edges for the hamster's teeth to get a grip on. Be picky about the cage furnishings and hamster toys you buy, ceramic and metal accessories are gnaw proof, while plastic and wooden ones are not hamster gnaw proof! Do you want your hamster to keep a roof over its head? A ceramic sleep house will outlast a plastic one any day. Do you want your hamster to have a wheel workout every day? A plastic wheel could have a limited life span, but a sheet-aluminum one will last a hamster's lifetime. If your hamster is a plastic addict, remove the plastic furnishings from the hamster's cage altogether. Otherwise, swallowed plastic splinters could cause your hamster intestinal upset and digestive problems. 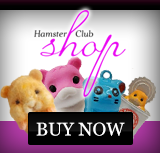 Ceramic and wood hamster toys are much safer choices for hamsters with passion for plastic, although even these toys will have to be checked regularly and removed if they get too chewed to be safe. Your hamster is going to chew, chew and chew! It's up to you to provide him with something owner approved to chew on. If you give your hamster chewables, your pet will get the gnawing it needs and it will be less likely to attack his cage or cage furnishings. You can buy lots of colourful, falvourful, inexpensive hamster chewings for your hamster to exercise its teeth on. Look for hardwood chews like critter kabobs, critter cubes, hamster bites, swiss chews or veggie sticks. Tasty hamster treats like nibble bars, alfalfa squares, dog biscuits and crunchy gnaw sticks do double duty. If your hamster constantly gnaws on the cage bars, then another option is to place empty toilet paper rolls between the cage bars. The hamster will then gnaw on these instead of gnawing the cage bars. Hamster gnawing is normal but obsessive gnawing is not. Compulsive chewing has more to do with boredom than with keeping teeth trimmed. If your hamster is exercising those chompers non-stop, then perhaps it needs a more expansive cage setup, more out-of-the-cage playtime and more stimulating toys.